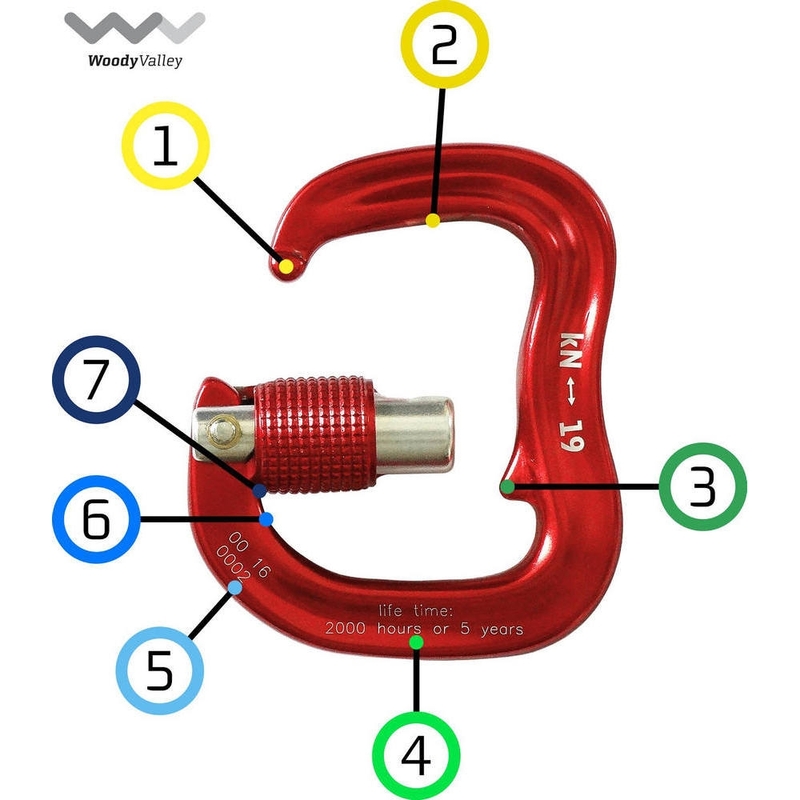 Woody Valley: "Thanks to its variable section, the Skyway karabiner weighs only 48 grams (14 grams less than the former Camp Para Twist Lock Evolution Karabiner) and, nonetheless, its overall strength has increased in all the critical points. All tests conducted by the Polytechnic University of Turin showed a higher resistance during working cycles than our former karabiner model used since 2009." Suitable for harnesses with 40 mm wide webbing. Replace after 2000 flying hours or 5 years.